As a plant turned edible oil to meet the needs of consumers, palm oil today joins the ranks of commodities dividing nations worldwide for its enviromental and political implications. An undeniable fact is palm oil’s contribution to Malaysia’s economy. Having roots in our history since 1917, exports of palm oil and palm-oil based products continue to be a major pillar for our economic growth, contributing some RM16.5 billion in 2018. Yet, countries in the West still consider palm oil a ‘dirty word’, linking it to deforestation and its detriment to the ecosystem. The European Union (EU) has gone so far as to phase out the use of palm oil in transport fuel, as examplified by a June 2018 agreement to eliminate palm oil from its transport fuel by 2030. France followed suit later that month with a plan to limit palm oil use by curbing its imports, proposing to do so “at a European level”. The French National Assembly further voted to end tax incentives on December 19 for adding palm oil to diesel fuel as of 2020 and decided to treat palm oil diesel as a regular fuel and not as a green fuel. All these moves led Prime Minister Tun Dr Mahathir Mohamad to retaliate back by saying Malaysia will consider laws to restrict imports of French products if Paris does not withdraw plans to curb the use of palm oil in biofuels. Tun Mahathir said in a January 8 letter to French President Emmanuel Macron called on the French leader to reject the proposed ban on palm oil in biofuels, adding the trade relationship between the two countries depended on mutual respect for each other’s commodities. “Failing in that mutual respect will force Malaysia to look at actions, including, but not limited to, suspension of EU-Malaysia free trade talks and the imposition of like-minded legislation against French exports,” the Prime Minister said in the letter. All these political tussles brings to mind: What can we be done to remedy the situation? Enter Primary Industries Minister Teresa Kok in her role as she takes charge in rebuilding the image of the ‘golden crop’. Having clocked in to her role about eight months ago – right about after the West’s palm oil ban – Kok is steadfast in building up momentum to ensure the industry remains a key economic pillar. Kok (fourth left) with officers from the ministry and Malaysian Palm Oil Council posing for photographs with officials from Malaysian Airport Holdings Bhd, Malaysia Airlines and Malindo Airways after a meeting at her office in January for the Love MY Palm Oil campaign. “As we all know, the palm oil industry plays a significant role in Malaysia’s economy,” she said in an exclusive with BizHive Weekly. “It contributes substantial export revenue for the country, and it is the livelihood of millions of people along its supply chain. “Despite all this, Malaysian palm oil is being targeted by international non-governmental organisations (NGOs) as well as foreign countries especially the EU,” she acknowledged. “We are being accused as unsustainable and promoting deforestation and destruction of wildlife habitat. Thus came about the idea of the ‘Love MY Palm Oil’ campaign as one of the promotional activities to change the negative perception on Malaysian palm oil. “It is important that Malaysians understand and support palm oil,” she highlighted. “I hope that our own people will become our ambassadors of palm oil and defend our interests against all such anti-palm oil activities. “We are currently undertaking systematic and strategic approaches to shape public perception through engagements and campaigns in order to address issues affecting the palm oil industry. The year long campaign which started on January 8 this year, welcomes all industries related to palm oil to be on board and support this campaign. 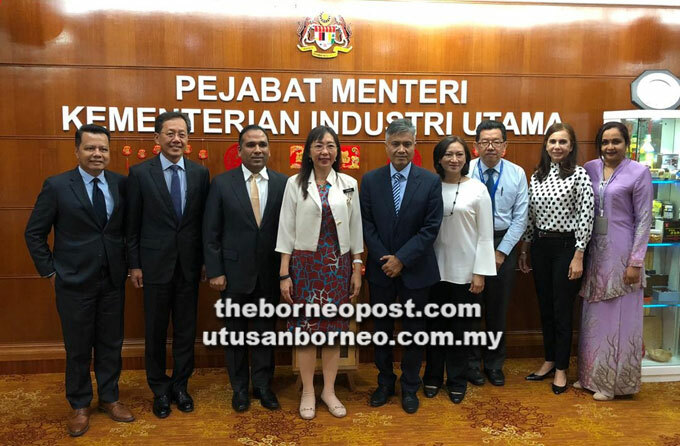 “Palm oil industry is linked to numerous industries along its supply chain for example logistic and engineering in the upstream segment, manufacturing in the midstream segment and food and pharmaceutical in the downstream segment,” Kok commented on the campaign. “So far, we are collaborating with various companies ranging from our own palm oil plantations, mills, refiners, processors and food and beverages sectors. In addition, Kok said members of the palm oil industry can also, on their own accord, take the initiative to promote Malaysian palm oil and counter the negative allegations in foreign markets. “Interestingly the nation’s airlines have also joined in the campaign and you will see palm oil featured media and billboards on arrival at the airports for example,” she enthused. “Universities and colleges are also giving us lots of support by creating palm oil ambassadors. Even tourist guides are jumping in now. Overall I am sure the Love My Palm Oil Campaign will gain significant momentum as the tempo builds up. When asked about Sarawakian companies taking up this pledge, Kok said her ministry was engaging various companies including the ones in Sarawak. “I am going to approach both government and companies in Sabah and Sarawak to assist us in this campaign further. “Efforts to discredit palm oil will continue to crop up from time to time. We could not afford to act alone to face the challenges. The ‘Love MY Palm Oil’ campaign is just one of many initiatives to rebuke palm oil’s negative image. Coming up on February 28 is the sixth ministerial meeting of the Council of Palm Oil Producing Countries (CPOPC) in Jakarta, Indonesia. During the meeting, CPOPC members will discuss among others trade policy issues affecting palm oil producing countries; sustainable production of palm oil as well as activities towards strengthening cooperation in the oil palm industry, including development of smallholders in both countries. “The discussion will also focus on the stance of CPOPC on the Draft Delegated Act that will affect palm oil industry,” Kok said in her interview with BizHive Weekly, adding that the draft delegated act which, among others, explains methodology/criteria to determine type of biofuels that can be categorised as high or low indirect land use change (ILUC) risk biofuels. The draft of the Delegated act is now open for public comment for a period of 4 weeks (8 February – 8 March 2019) before being finalised by the European Commission. To note, the CPOPC is an intergovernmental organization for palm oil producing countries. Formed back in November 2015, the organisation came about thanks to genuine awareness of the need of mutual cooperation among palm oil producing nations. Indonesia and Malaysia, the world’s biggest palm oil producers, are the founding father of the Council as well as the current members. 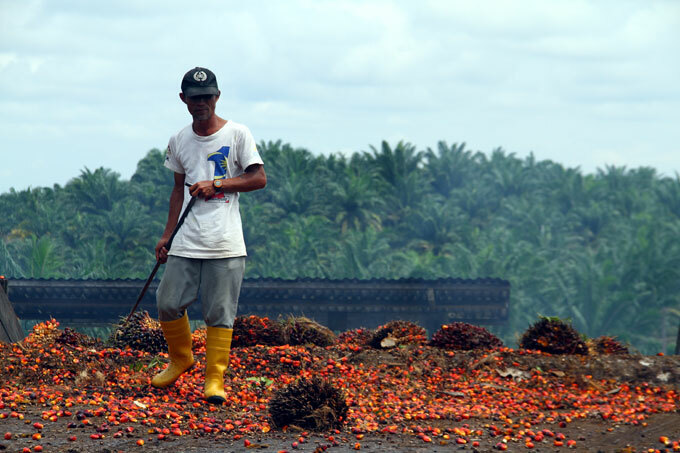 As the two countries further accepted that palm oil is an important component of the global food supply chain, they recognised a few situations, primarily those relating to sustainable practices and trade impediments. Taking into account the given opportunities and challenges, the two countries desired to strenghten cooperation and collaboration by establishing the CPOPC. The Council is now inviting other palm oil producing countries from Africa, Central America and Asia-Pacific. “This meeting (in Jakarta) is also very significant as Colombia will be joining us as a new member of CPOPC,” the Primary Industries Minister continued. Kok said the Malaysian palm oil industry plays a fundamental role in the country’s economic and social development where it has contributed immensely towards poverty eradication and economic restructuring. This is also true for other producing countries, she added, such as Indonesia and Colombia. “However, to date this golden crop continues to face countless negative allegations and anti-palm oil campaigns as well as discrimination against its usage. “This is, in particular in Europe with the adoption of European Union Renewable Energy Directive (EU RED II) as well as individual positions taken by certain European countries such as France and Norway to exclude or ban palm oil as their biofuel feedstock. “Despite individual attempts by palm oil producing countries in addressing such negative allegations, campaigns or discrimination against palm oil, the Council of Palm Oil Producing Countries (CPOPC) plays an important role in ensuring the survivability of palm oil in the oils and fats market. “This year, Malaysia holds the Chairmanship of CPOPC and my main aim would be to ensure that CPOPC plays a pivotal role as the platform for palm oil producer countries to strengthen its collaboration and counter any discriminatory actions on the golden crop. In latest news, Malaysia and France are working things out by holding joint dialogues and strengthen engagements to promote better understanding of the palm oil industry. This comes after courtesy call from French Ambassador to Malaysia Frederic Laplanche earlier this week where they discussed ways to enhance bilateral cooperation and dialogues on palm oil, as well as encouraging engagements between lawmakers from both countries. Laplanche (middle) holds a bottle of red palm oil which he received from Kok (left) as a souvenir after their meeting on February 18. 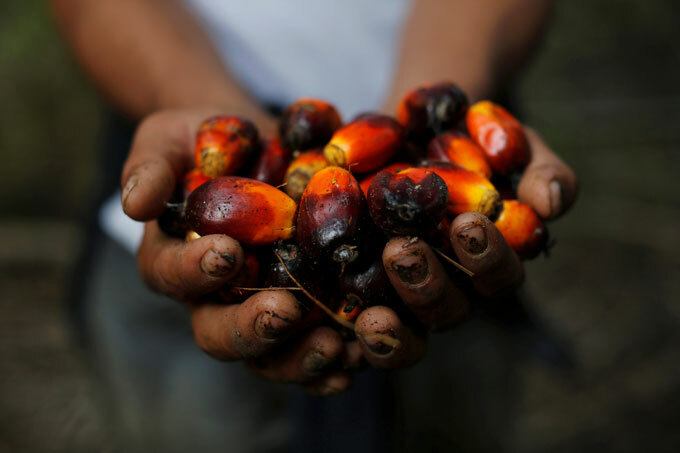 “We hope this will further address many questions related to palm oil production and sustainability among French lawmakers and its consumers,” Kok said in a statement. The Parliamentary Friendship Group set up between French and Malaysian parliamentarians in 2018 with focus on bilateral cooperation, as well as the Malaysia-France Business Council meeting in March, will discuss at length various palm oil related matters. Laplanche also notified Kok of French Environment Ambassador Wehrling Yann’s plan to visit Malaysia to get a first-hand exposure on Malaysia’s sustainable palm oil practices and conservation efforts. Laplanche proposed to take advantage of Yann’s visit, slated for April, to hold the Malaysia-France Joint Committee on Palm Oil Cooperation meeting to promote a dialogue on palm oil, as well as to organise visits to oil palm plantations and wildlife conservation sites as part of the itinerary. In an effort to deal with negative perception among French consumers towards palm oil, he said the French Embassy would be coordinating a programme involving the Institute of Higher Studies for Science and Technology in France focusing on infrastructure development, higher education and the palm oil industry. The programme will be participated by academicians, as well as private sector and government officials from both sides, and its outcomes will be tabled in the French Parliament. The Minister and Laplanche also discussed the French National Assembly’s move to amend its 2019 Budget on Dec 19, 2018 to exclude the use of palm oil as biodiesel feedstock and end fiscal incentives for palm oil from January 1, 2020. Laplanche said this would be adopted as law in France. 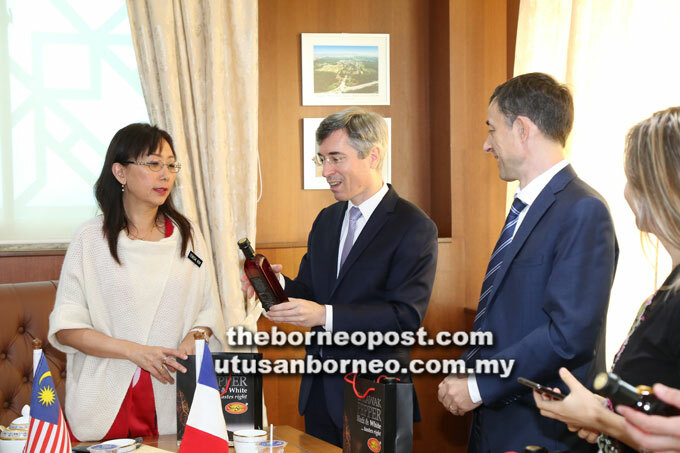 The French Ambassador to Malaysia pointed out that the French government was not against palm oil and that it had approved a bio-refinery owned by France’s Total Oil group with an anticipated utilisation of 350,000 metric tonnes of palm oil per annum. He said more research on the benefits of palm oil should be publicised as there appeared to be more negative findings on palm oil being circulated that were influencing public perception in Europe. Laplanche said the French President would soon respond to Dr Mahathir’s letter. The EU’s ban on palm oil has its impact on Sarawak as concerns are immediate, specifically towards smallholders in the state. To note, 40 per cent of the oil palm growers in Malaysia are small holders numbering 650,000. In addition there are about 3 million people in Malaysia whose livelihood is dependent upon the palm oil industry. Thus any negative measures taken by EU will definitely impact these people. Therefore, it is not surprising to see them taking to the streets to express their displeasure on the EU Resolution to phase out palm oil by 2021. The small holders are worried that following the proposed ban on palm oil, they may have to go back to the same situation where their forefathers came from. In the 1960s, the average household monthly income of a FELDA small holder was only about RM812 (USD 203). Now 60 years down the road, the average household income of a FELDA small holder ranges from RM3,096-6,296/month. Internationally, environmentalists claim that the palm oil industry is destroying rainforests, which is home to indigenous communities and threatened species like the orangutans. The development of palm oil is also accused of contributing to climate change through forest-clearing fires as carbon dioxide is released to the atmosphere. “However, oil palm expansion in Malaysia in the last 50 years were mainly converted from former rubber and cocoa cultivation. No rainforest land has been used since 1990,” said Planters United spokesperson Jimmy Teo in a statement. The implementation of this ban will negatively affect the EU’s trade in Malaysia and the Southeast Asian region. Job opportunities, strategic interest in Southeast Asian countries, and bilateral trades will be affected. “Presently, Europe’s import of palm oil is worth up to USD 7 billion; half of which is used as biodiesel. In Malaysia, the EU accounted for 12 per cent of the palm oil exports in 2017 and is the biggest buyer after India. The Netherlands accounts for approximately half of Malaysia’s exports to the EU. The Dayak Oil Palm Planters Association (Doppa) is urging the French government to reconsider its decision to exclude palm oil from raw materials approved for use in biofuel. Its vice president Rita Insol stressed that the allegations that all palm oil causes deforestation is simply not true. “Our oil palm is planted on farmlands that were inherited from our forefathers. At one time, these lands were planted with rice or rubber as cash crops but it is oil palm that has been proven to be the most consistent provider of income,” she explained. Rita also revealed that many of Sarawak’s indigenous farmers have been able to afford better houses and send their children for higher education because of what oil palm provides. “Now with the implementation of the Malaysian Sustainable Palm Oil Scheme, many of us are looking forward to better incomes through higher yields through the training in better farming techniques,” she added. She noted that are 28,000 indigenous farmers out of the total of 36,000 registered smallholders in Sarawak who grow oil palm as a cash crop, with an estimated acreage of palm oil farms cultivated by indigenous peoples in Sarawak being less than 100,000 hectares. Rita said the import ban was causing great concern and disappointment among the indigenous farmers of Sarawak. “We hope France would reconsider the ban on palm oil in its biofuel policies. This is a discriminatory act against the indigenous farmers of Sarawak,” she said. Rita, who once worked as legal advisor of a government-linked company, insisted that the policy passed and adopted by French lawmakers are seemingly an act of discrimination against the rights of indigenous people that will eventually deprive natives of the right to development. “It is a right we toil for in our daily lives. Many of us maintain our small oil palm farms by ourselves — this includes carrying several tonnes of harvests every month, even for our women. “But we do not complain about the hard work. We only ask for a chance for buyers like the French to support us when they need palm oil because we would rather work with pride than beg,” she said. Sustainability: Where are we now in 2019? With all the kerfuffle going globally, Malaysia is steady in its pace towards Malaysian Sustainable Palm Oil (MSPO) certification. This is important to combat the global negative image on palm oil and its links to deforestation. In line with the country’s commitments and to meet development of sustainable palm oil, Malaysia targets to ensure its palm exports are fully certified sustainable with the mandatory implementation of the MSP) certification from January 1, 2020. As of January 2019, the Primary Industries Minister revealed that about 26.6 per cent or 1,538,413 hectares of oil palm planted area had obtained the MSPO certification nationwide. In addition, 141 mills or 31.3 percent of total 451 mills in Malaysia have been certified with MSPO. “Among the 1,538,413 hectares of MSPO certified area, most of it are from palm oil companies,” she added. “Approximately 14.2 per cent or 218,801 hectares are from organised smallholders and independent smallholders. MSPO was introduced in January 2015 as part of the Government commitments to increase the sustainable palm oil production, including that by smallholders, in line with the global demand for sustainable palm oil. The certification will be made mandatory by year 2020. MSPO deals with the environmental, social and economic aspects in the production of palm oil, as well as to certify that the oil produced are of good quality, not polluting the natural environment, go through safe work procedures and based on good agricultural practices. Kok said the MSPO certification’s implementation cost for private smallholders are fully borne by the Government through an RM135 per hectare incentive, while urging those have yet been certified to seek advice from the nearest MPOB office or any agencies like Felda, Felcra, SLDB and others. Associations like the National Association of Smallholders (Nash), East Malaysian Planters Association (EMPA) and Sarawak Dayak Oil Planters Association (Doppa) also provides consultation services relating to MSPO to the smallholders. Perhaps a nod in the right direction for the MSPO Certification Scheme is its adoption as a tool for the Tokyo 2020 Olympics and Paralympic Games Sustainable Sourcing Code for palm oil. Kok said the MSPO was among the three certifications approved by the Tokyo 2020 Olympics and Paralympic Games Sustainable Sourcing Code Committee on Dec 4 last year, besides the Indonesian Sustainable Palm Oil (ISPO) and Roundtable on Sustainable Palm Oil (RSPO). With the adoption, Japan will be sourcing edible and non-edible food products and soap with the MSPO, ISPO and RSPO certifications for use during both major sporting events. Kok said recognition of the certification scheme at the international level is the dawn of a new era in the branding of Malaysian palm oil as it stands tall against all odds and adversities. “Malaysia initiated the voluntary implementation of the MSPO Certification Scheme in 2015 and is moving towards making it progressively mandatory by year-end. “The mandatory implementation signifies Malaysia’s commitment to the sustainable production of palm oil,” she added. The Minister thus called on all palm oil players in Sabah and Sarawak who have not obtained MSPO certification to do so before the mandatory deadline of January 1, 2020. “The Ministry of Primary Industry through its agencies including Malaysian Palm Oil Certification Council (MPOCC) and Malaysian Palm oil Board (MPOB) have continuously conducted briefings and training to create awareness and educate the palm oil industry on the requirements of MSPO Certification. “For example, Jelajah MSPO programme conducted by MPOCC is a good learning platform for estates and millers on MSPO certification compliance. “MPOCC’s Outreach officers stationed in Sabah and Sarawak can provide technical advice on MSPO certification. MPOB has also stationed additional TUNAS officers in every state to help independent smallholders to obtain MSPO certification through Sustainable Palm Oil Clusters (SPOCs) group certification. “We are also working with NGOs and other stakeholders in addressing issues related to the implementation of the MSPO.